Guodarzi, H., Agha Mohammadi, M., Mousavi1, M. (2013). Study of Cis–trans Isomerization Mechanism of [3-(3-Aminomethyl) Phenylazo] Phenyl Acetic Acid as a Causative Role in Alzheimer Using Density Functional Theory. International Journal of Advanced Biological and Biomedical Research, 1(11), 1512-1517. Hamid Reza Guodarzi; Mohammad Agha Mohammadi; Mohsen Mousavi1. "Study of Cis–trans Isomerization Mechanism of [3-(3-Aminomethyl) Phenylazo] Phenyl Acetic Acid as a Causative Role in Alzheimer Using Density Functional Theory". 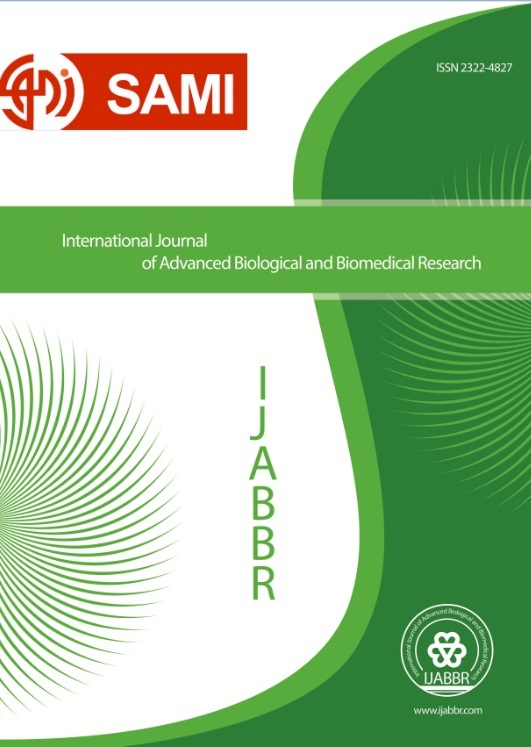 International Journal of Advanced Biological and Biomedical Research, 1, 11, 2013, 1512-1517. Guodarzi, H., Agha Mohammadi, M., Mousavi1, M. (2013). 'Study of Cis–trans Isomerization Mechanism of [3-(3-Aminomethyl) Phenylazo] Phenyl Acetic Acid as a Causative Role in Alzheimer Using Density Functional Theory', International Journal of Advanced Biological and Biomedical Research, 1(11), pp. 1512-1517. Guodarzi, H., Agha Mohammadi, M., Mousavi1, M. Study of Cis–trans Isomerization Mechanism of [3-(3-Aminomethyl) Phenylazo] Phenyl Acetic Acid as a Causative Role in Alzheimer Using Density Functional Theory. International Journal of Advanced Biological and Biomedical Research, 2013; 1(11): 1512-1517.